I called this a long time ago... probably over a year ago after the official word came that Joss was making the movie with Universal. That SciFi would air Firefly, that NBC Dateline will do a profile of Joss and there will be a "Low-down" of Serenity on SciFi too in September. Stargate, Atlantis, and Battlestar are SciFi's biggest shows and all air on Fridays. I think this is a good timing. Friday is the only time I watch SciFi. Also this is the same time those three shows premier for the season. It will attract a lot of viewers who want to watch the premiers. SciFi repeats the big 3 shows right after, sometime around 11. So if they repeat Firefly to, people who watch all the other shows will notice a new show coming on right after and hopefully will be sucked in. If you poeple worry about time slots of death then you don't have a DVR. I could care less when TV i watch comes on, I really don't even know when it does, cause it always comes on when I want it too :P.
Best... SFC decision... ever. It's about time they made one without a downside. I didn't know about these little narratives...what were they exactly? Sadly, I'm in the UK with only terrestrial TV so I never saw Firefly when it was being aired. What day was the syndicated ST on, anyway? Anybody know? Star Trek was syndicated, that means they sold it to each of the individual local channels rather than a national network. Star Trek was on at different times in different areas. Thanks for that link. I wish they had the Book version, too, but that was just from 3-4 of the earlier eps. I guess if I were a really GOOD Browncoat, I'd sit and transcribe it myself... Maybe later this week. "Appears they've canceled the show and we're still here. What does that make us?" About time Sci-Fi in the US fell in line with Space in Canada. Firefly's been on Space for over a year now, and while it's been moved to the Thursday 2300 EDT slot, at least it's still on. Hmm, don't seem to remember such hype when Space aired it...we Browncoats are falling down on the job, maybe? Hang tough mighty Canadiens and you... jaunty UKians... Firefly making it back to US airwaves can only mean, "good on ya,"... wait... that's more for the Down-underuns... uh, it's just freaking good for everyone on the planet, dong ma?! Chins UP! Note to a few other earlier comments: Spike TV in US has purchased full syndication rights to ST:TNG and ST:DS9 (e.g. only they can show them) It was a big disappointment to the sci-fi channel who wanted them too. I doubt sci-fi could pick up firefly if it lost Star Trek to Spike TV. Note: NBC (which aired ST:TNG if I'm not mistaken) in owned by the same people who own sci-fi. Edit (5/24/2005): Changed email link to fix typo. Sorry! I copied it directly from the scifi website! I'm pretty sure the e-mail for Sci-Fi's comments is feedback@scifi.com. It's the only link to contact them, but I couldn't get it to work on their page, so I just emailed normally from yahoo. I'm assuming it went through. But, anyway, email your joy to the network and let them know how much the BDS means to us! Stargate, Atlantis, and Battlestar are SciFi's biggest shows and all air on Fridays. Unlike the networks, Friday is SciFi's biggest night. They put their biggest and most expensive original programming into those slots. It looks like their target demographic falls into several sub-groups: doesn't go out on Friday; goes out later; goes out early and catches the late reshowings; or owns a DVR/knows how to use a VCR. It looks like their target demographic falls into several sub-groups: doesn't go out on Friday; goes out later; goes out early and catches the late reshowings; or owns a DVR/knows how to use a VCR. I have heard of a place where humans do battle in a ring of Jell-O. ...May have been the losing side, Still not convinced it was the wrong one. ...Note: NBC (which aired ST:TNG if I'm not mistaken) in owned by the same people who own sci-fi. ST:TNG was a direct-to-syndication product. During its original run, it showed on F*x after the late local news in my town (i.e., 10PM). I don't believe NBC had anything to do with ST:TNG. They did originally run ST:TOS, which eventually ran just about everywhere in syndication, even though it only ran two seasons on NBC. ST:TOS currently runs on SciFi, owned by Vivendi-Universal, which also owns NBC. First "Firefly on SciFi", then maybe with enough money, "Firefly on NBC". Like I said, a long-shot. V-U/NBC would not only have to buy out F*x' rights to Firefly, but also buy out Whedon's contract with 20th Century Fox Television. bah!--the stunning Serenity box office will make it an easy deal--they'll set up an in-house Joss production group, and years from now they'll still be riding high from switching one night of primetime a week to a night of all Joss and friends programming. Amen, Brother/Sister! From your lips to God's ear (or at least to V-U/N's ear). Lest we forget, Joss and his cadre of talented associates are master storytellers. I personally look forward to the day Joss creates a real family drama. You know, believable characters as husband and wife, parents and kids; all their joys and sorrows, their tragedies and comic moments -- just like we all experience. That quality was what hooked me on Firefly (specifically, Zoe's and Wash's interactions, their 'dynamic'). I still think Z & W's marriage is the most realistic depiction of married life I have ever seen portrayed in any entertainment, screen, stage or tube. That's a series I wanna see on TV. Has anyone heard which versions they will be airing? The ones shown on television originally, or the revised versions included on the DVDs? this isn't an effort to bring back the TV show. In my mind everything is an effort to bring back the show. Even three movies isn’t enough and last I heard that’s all that’s planned even if the BDM does phenomenally. Think about all that was merely implied in the series, you can tell as significant part of that in six to nine hours. If it helps boost the movie it might help in a return to the screen. Of course I enjoy what we have on the way, and even if there is only a single movie I shall cherish it. It looks like their target demographic falls into several sub-groups: ... or owns a DVR/knows how to use a VCR. I suddenly had a flash to Douglas Adams, unfortunately my all in one trilogy, five books and one short story, is out on loan so I can’t find a quote to share. I think what caused the link to not work for Faile was that the email address most likely is "feedback@scifi.com" I haven't tried it myself, but the one Granite copied directly from the site looks like it must be a typo, with a "." right after the "@". I mock you with my monkey pants. Click on "Play Entire CD"
I hate to be a wet blanket, but we're talking 7:00 on a Friday, folks. Part of what killed Firefly was being on at 8:00 on a Friday. This time slot is either only marginally better or maybe even worse. It's also ghettoized, since non-sci-fi fans don't watch. And Sci-Fi doesn't get huge amounts of viewers in any case. We're talking UPN viewing numbers here, not ABC. I don't doubt that we'll add fans, don't get me wrong. I just think there won't be that many. Any increase helps, though, of course, and I'll eat crow happily if the show does get major Nielson ratings. So, for me, it's a help, but won't fundamentally affect Serenity's chances of major success. Here's hoping I'm wrong. You're right you are a wet blanket. You threw off my groove!! ghettoized? Is that a word?? "A journey of a thousand miles starts with a single step. "- Lao Tzu. Well, when you think about it, what killed Firefly was really all the time changes thanks to baseball and the way Fox lets a monkey arrange their television schedule. SCI FI Channel announced that it will air reruns of Fox's canceled SF series Firefly, including three episodes that never aired on Fox. SCI FI will air all 14 hours of the show, from creator Joss Whedon (Buffy the Vampire Slayer), starting July 22, in the 7 p.m. ET/PT Friday timeslot. It will be followed by new episodes of Stargate SG-1 at 8, Stargate Atlantis at 9 and Battlestar Galactica at 10. Actually, most of what killed Firefly was gorram fox's short-sighteness with regard to their commitment to their sports contracts and pitiful scheduling practices (someone said something about a monkey?). Same thing that killed "Space: Above and Beyond," among others that never got a chance to get a second breath. They don't earn the title "serial killer of quality programming" for nothing. Now, look at my tag line - see what it says? In all actuality, the BDM shouldn't exist, and this cancelled series should be airing on Sci-Fi at 1:00AM on a Sunday. At least with it taking over Andromeda's time slot, there's some hope that sci-fi fans will get a chance to see what all the fuss is about. Non-sci-fi fans won't go anywhere near this series anyway. They so much as see the words "science" and "fiction" put together and they run off screaming some nonsense about the sky falling--rather the way some Christians do when they hear the word "Wicca." I'm more interested in grabbing the Star Wars audience - those poor souls whose culture is being hit by the fact that the film portion of their lives is pretty much done unless Lucas decides to be benevolent and license the rights over to somebody else. And the Star Trek audience, whose culture was heniously betrayed with format manipulation and sub-standard writing. This is also a chance for us to point some sci-fi minded friends in the direction of the series. Chances are, if you're like me, your hook-line-and-sinker copy of the DVDs is already loaned out someplace, half of your personal copy is out someplace else (I never let more than two discs out of my house at once), and you've got a couple other people asking, "would I like it?" when you rave on about it. Now, at least, you can let them know they can catch it on Fridays. Even if it means letting their digital recording system capture it for another opportunity, it's a start. So enough with the "Eyore" aspect, dong ma? As far as I'm concerned, that cup is still half full! Somewhere there is an NBC-Universal Exec with his head squarely on his shoulders. Somewhere there is a 20th century Fox exec with his head squarely on his shoulders for selling the rights. Somewhere there is a Fox network executive/monkey pondering cancellation of "The Inside" for a new reality show. Someone, somewhere, listened to our prayers. We should all be so so happy, this is so incredible. Firefly is back, people are going to watch, the series will continue. I have tears in my eyes. Oh sure, NOW they pick it up. They were offered FF way back when! This is good though.... building an audience for the movie. incorporeally possessing a space ship. The channel will air the episodes in their intended order, beginning with Whedon's pilot. (Fox, by contrast, began with the show's third produced hour, "The Train Job," and aired the two-hour pilot at the end of the show's abortive first season.) SCI FI acquired exclusive rights to the show from 20th Century Television, which produced the show for the Fox Broadcasting Co.
Firefly centers on the ragtag crew of the firefly-class transport ship Serenity 500 years in the future, led by renegade Capt. 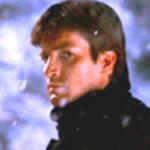 Mal Reynolds (Nathan Fillion), a veteran of the losing side in a galactic civil war. Universal Pictures will release Serenity, a theatrical film based on Firefly, on Sept. 30. Universal and SCI FI are owned by NBC Universal, which also owns SCIFI.COM. I think you really can't do much better than placing it on the same night as BSG which is hailed by critics and already being brought back for a new full season in mid july, so people will be tuning in, the commercials will cross reference and set up interest in firefly and if they replay, maybe bsg will now be followed again by firefly, and I think the pairing of them would be great, both play on less contrived cheesy elements and both have great actors. I hope sci fi is thinking about its recent success with bsg and thinking, hmmm, now there's a quality show with some similarities and hmmm atlantis isn't just for sure going to make it and stargate is going to end eventually, what if serenity the movie is a success, we sure want to hold on to friday night, let's see if firefly might not be a great addition to friday nights and possibly see about bringing back the series. . . hmmmm. I'm sure they aren't paying US$2Million per episode, which is what FOX paid for each ep after the US$12Million pilot. Keep the Shiny Side Up . . . (wutzon) Trey Anastasio, "Night Speaks to a Woman", from "Plasma"
I don't see why they don't just make a Serenity TV series spinoff from the Movie. Then it becomes a whole new show. How can they stop them from doing that? I think you have a very good point about a 'Serenity' show. I'm rather convinced Universal (and Joss) are trying very hard to 'rebrand' Firefly - the more people refer to it as 'Serenity' and the fewer that call it 'Firefly', the more obvious it is that it's a different show. There are already licensing agreements for such things as roleplaying games that are EXCLUSIVE to Serenity, NOT Firefly. If the licensing agreements can be exclusive to the movie, why not a series that is 'based on the movie' and not the original Firefly TV show? BRAVO! Well said Channy darlin'. You hit it right on the head. The time slot may not have been the best, but Fox's lack of commitment, their impatience for ratings, and their commitment to baseball is what killed Firefly. Fox has never been much on Sci Fi, as Channy pointed out w/ the example of Space Above and Beyond. Fox just doesn't seem to get sci fi, and all they can see is dollar signs and ratings. Nothing else matters if it does not pay off immediately. Joss said as much himself. The show was ignored, neglected and abandoned by Fox. Everyone said it was over, to "get over it". Everyone said that no way would she ever fly again. Funny thing about us Browncoats, we just don't give up. We seem to like taking on the impossible. So, here we are more than two years after cancellation. We got the show on DVD. We have a movie and merchandise being released. Our beloved show will be shown at the beginning of the Sci Fi Friday line up kicking off new episodes of SG1, SG Atlantis & BSG. Odds are fans of those shows may tune in to catch Firefly. Certainly many of them have heard of it, even if they have somehow managed to not see it. This is a great opportunity for us to net some more fans. I agree. Odds are that non sci fi fans will stir clear of Firefly, especially w/ it on the Sci Fi channel. Yep. Those are the fans we want to rope in if we can. With Star Trek off of television and the Star Wars movies over with, those fans will be looking for something new to look forward to. May as well be Serenity. Very true Channy. This is a unique opportunity for us to recruit a whole new legion of fans. There are enough of them out there. With Firefly showing on Sci Fi from July on up until the release of the BDM it will give the newly initiated the unique opportunity of going to the BDM w/ the series still fresh in their minds. If you became a fan through the DVDs and never saw the eps on TV you missed a small but fun bonus. Hopefully, SF will play the narratives provided by Ron Glass and Nathan Fillion at the beginning of each show that was televised. "Here's how it is..."
Personally, I was disappointed that they were not a bonus feature on the DVDs. Enjoy! I KNOW! I've been trying to find those everywhere. Nobody seems to have them. Let me know if you find a place to download them. Every well-bred petty crook knows that the small concealable weapons always go to the far left of the place setting. FIREFLY (FOX) - Sci Fi Channel's off-network acquisition of the series, which was first reported back in May, reportedly is valued at $450,000 per episode. The news means that Sci Fi will pay about $6.75 million for the 15 produced hours of the series, three of which never aired on FOX. "Firefly's" run begins on the network on Friday, July 22 at 7:00/6:00c. That's a pretty hefty cost for a show that's been off of TV and has been watched again and again on DVD. SciFi must have a lot of faith in the series, which is great. What's dark, psychologically twisted, and created by Firefly vets? The Inside! Basically firefly is safe with Sci-fi it has a home now. No offence (actually, maybe some small amount of slighty deserved offence - unless you were being sarcastic, in which case 'oops' for missing it), but I do love it when people who post opinions with which I disagree, do so with such poor grammar or punctuation (perfection not expected but some sort of effort would be nice). Makes me feel I must be right. Or, in other words: Stargate is, at the very least, erm, well better thank ok; New BSG absolutley rocks; The chances of new Firefly on Sci-Fi if the movie is not a gargantuan hit are zero (and even if the movie is a hit the most likely outcome is sequels). Sorry if this sounds negative. Firefly is still my favourite show ever (so far). Also, I'm a bit drunk and am actually only thinking "lurk too much, must post, even if gibberish." 1) Sci-Fi 'specials' like interviews, behind-the-scenes bits, etc. - new ones? Reused ones from the DVD's? Sci-Fi loves this stuff - wouldn't they do it with Firefly? I like the "no voiceover" option. If they show Serenity first (which they are going to), you don't need a voiceover because everything you need to know about the Verse is spelled out for you. Seems to make sense to me. Why have a "...In case you haven't seen the pilot..." voiceover when you have, in fact, seen the pilot? FIREFLY (FOX) - Sci Fi Channel's off-network acquisition of the series, which was first reported back in May, reportedly is valued at $450,000 per episode. The news means that Sci Fi will pay about $6.75 million for the 15 produced hours of the series, three of which never aired on FOX. That's a pretty hefty cost for a show that's been off of TV and has been watched again and again on DVD. Might seem like it but, FutonCritic describes it as "acquisition of the series", which could mean recurring broadcasts, not just once for each ep. And it's barely more than a sixth of what FOX paid to get it made. Keep the Shiny Side Up . . . (wutzon) Moe, "Timmy Tucker", from "L"
Uhm. Battlestar is SCI-FI's baby, just to stress. They love it. The viewers love. The person who runs this website also runs a Battlestar fansite. Firefly is not 'safe'. Sci-fi have picked up the BACK CATALOGUE of episodes, NOT NEW EPISODES. Firefly is over, but Sci-fi are giving the franchise a push in the direction of SERENITY here. And given that NBC/Universal, who own SERENITY, also SCI-FI, that's not a huge surprise. Universal owns SCI-FI. I'm sure they got the rights to the show when they bought the rights to Serenity. It's a brilliant marketing tool to draw more people into seeing the BDM. Hopefully, this will open the doors. The future after the movie is as uncertain as ever, but running the series for 15 weeks on SciFi can only but give hope for more. the nay sayers who belive firefly is over are just purple bellys thats right i siad it! !